Many people do what they can to prevent cavities, but have you considered your gums lately? Your gums are what serve to help support your teeth, so it is critical to keep them healthy. Symptoms, such as swelling, pain or bleeding, may indicate an underlying disease of the gums. If left untreated, the gums may become damaged, and eventually, affect the health of your teeth. While oral health is a concern with gum disease, the entire body can be affected. Those with periodontal disease are at a higher risk of cardiovascular disease, chronic respiratory disease, dementia, diabetes and pregnancy complications. This is said to not be cause-and-effect, but an association. This association is largely due to bacteria in the mouth making its way to other areas of the body. For example, with cardiovascular disease, the bacteria from the mouth in those with gum disease can enter the bloodstream. From here, it may attach to the fatty plaque in the arteries, furthering the formation of clots. Brushing regularly is an important step in maintaining healthy gums. It is ideal to at least brush before bed and in the morning. Look for a toothbrush with soft bristles and a toothpaste that has fluoride in it. Hold the brush at a 45-degree angle against the gums and use short and gentle strokes. Make sure to get all teeth and all sides of each tooth. 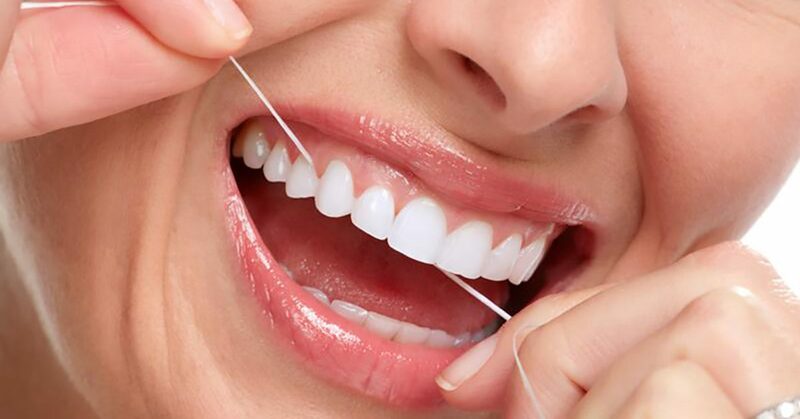 Flossing helps to remove what brushing cannot in between your teeth. You want to get between all of your teeth and move the floss up and down. Be gentle so that your gums do not get irritated. In addition to brushing and flossing, you want to use a good mouthwash. It helps to remove plaque and protect against gum disease by rinsing away debris and food particles from your mouth. You can do these three steps in any order. What is important is that you perform them regularly and that you do them correctly. Your dentist can provide tips on how to effectively floss, brush and rinse. In addition, focus on a healthy diet that provides plenty of calcium and moderates sugar intake. Seeing your dentist twice a year is an important part of maintaining your gum health. If you notice any potential issues, make sure to have them checked and treated right away.